Though anime director Mamoru Hosoda rarely diverges from his pet theme of family, the scale of his movies rises and falls like the tide. “The Girl Who Leapt Through Time” (2006) was an intimate tale of high school life, “Summer Wars” (2009) dealt with the fate of the entire planet, “Wolf Children” (2012) centered around a family living in the Japanese countryside, and “The Boy and the Beast” (2015) featured an epic battle on the streets of Shibuya. “Mirai” keeps the pattern up by going small. 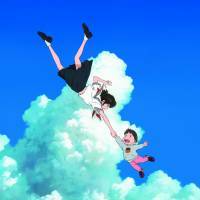 But while “Mirai” may be Hosoda’s most compact film yet, it’s also, in some ways, his most daring. It centers around Kun (Moka Kamishiraishi), a 4-year-old boy who lives with his mother and father in the suburbs. Kun has been doted on by his parents and grandparents since childhood, but his blissful only-child existence is upended with the arrival of baby sister Mirai. Kun, devastated by his being displaced as the center of his parents’ universe, lashes out by throwing tantrums and threatening to run away from home. It’s at this point that Kun is visited by a strange series of people: first, a mysterious man (Mitsuo Yoshihara) who turns out to be the human personification of the family dog — and who rightfully points out that he was the center of attention until a certain human boy showed up. Next, Kun meets the teenage version of his baby sister, the “Mirai no Mirai” (Mirai of the future) of the Japanese title. Kun’s travels through time and space serve to teach him about the importance of the bonds of family — which is classic Hosoda. The story may be named after “Mirai,” but it’s told firmly from the perspective of the 4-year-old Kun. He has little in common with the super-cute children of your average anime: he’s short-tempered, self-centered and liable to cry at any moment. In other words, he’s a normal kid. 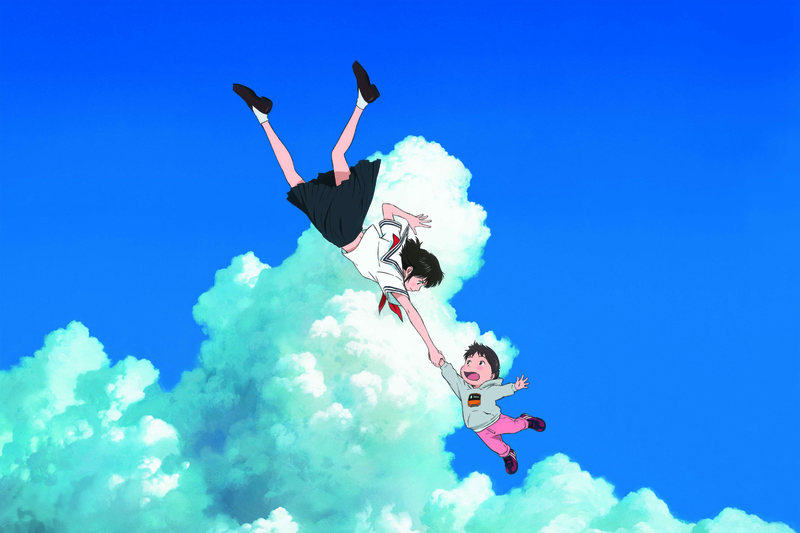 Hosoda pushes the whining and crying to a level that can actually become grating — parents out for a rare date night away from the kids may not find “Mirai” provides them much in the way of escapism. This is why I think “Mirai” is, despite its family-size stakes, daring. It’s this decision to portray the very real feelings and actions of a jealous child from that child’s point of view that makes the film so admirable. That bold choice, though, makes the casting of 18-year-old actress Moka Kamishiraishi as Kun particularly frustrating. Female voice actors playing young boys is standard practice in Japan and elsewhere — and I’m sure there would have been various challenges in casting an actual 4-year-old — but there’s something jarring about Kamishiraishi’s voice coming out of Kun’s mouth. It might have worked for a stereotypical cute anime kid, but it seriously detracts from this more realistic portrayal. It’s not difficult to see a particular subset of Hosoda-watchers — especially fans of his larger-scale films like “Summer Wars” — being disappointed with “Mirai,” which lacks any epic battles, tear-inducing drama or even much of a cohesive narrative. Why is Kun visited by family members from the past and future? Why can the family dog talk — and why does he take the form of a middle-aged man?